HOUSTON – How ironic. In a playoff series in which the baseball world buzzed about the Houston Astros' alleged cheating via video surveillance, it may wind up being a lack of video that does them in. The Astros are now clinging to life support, clawing to retain their World Series title. They are just one loss away from packing up for the winter and heading home after their 8-6 loss to the Boston Red Sox in Game 4 of this American League Championship Series. Jose Altuve blasted what looked to be a two-run homer three batters into the bottom of the first inning Wednesday night, a rocket that would have erased the two-spot Boston sprung for in the top of the frame. But right field umpire and crew chief Joe West ruled that fans in the front row in right field reached over the railing and interfered with Mookie Betts' effort to catch the ball, which plopped back onto the field. The angry Astros appealed, and replay officials in New York ruled that West's call would "stand" because they didn't have any video angles that definitively proved he was wrong. "The best way I heard it is somebody hit a ball that didn't get caught, and it got called out," said Astros center fielder George Springer, who was on first base at the time and angrily smashed his batting helmet into the ground when Altuve was called out. That's it in a nutshell, both the incident in Game 4 and instant replay in general: A ball doesn't get caught, and the batter is safe. A should lead to B, but too often it doesn't. Five years after baseball expanded replay for the 2014 season, the game still wrestles with a maddeningly inefficient system. Calls that should be reversed aren't, calls that shouldn't be reversed are, unintended consequences still spring up from time to time, proper angles too often remain elusive, and too many minutes are gobbled up as the pace of games slows and technology that should be lightning fast, well, isn't. "That they all don't get [called] right?" Astros right fielder Josh Reddick volunteered following this four-hour, 33-minute marathon. "Yeah, I do. I find it crazy that every one doesn't get [called] right. We've been on the down side of a lot of replays this year. It gets frustrating a lot. "You take the time out of your day and out of a game to have replay, and you're supposed to make the right play; you're supposed to make the right call. And it just doesn't seem to happen all the time." Reddick was directly involved in a similar play to the Betts-Altuve drama when he was with Oakland in 2013, and that too was in the playoffs. It was during Game 4 of the ALDS in Detroit, and in the bottom of the seventh inning, the Tigers' Victor Martinez drilled a ball to deep right field that Reddick appeared to have a line on...until fans reached over the railing and interfered. Looking at that video, it appears to be a crystal-clear case of fan interference, and Martinez should have been called out. Fans reached over the railing. There was no replay system in place then, so the blown call drifted off with the autumn wind. 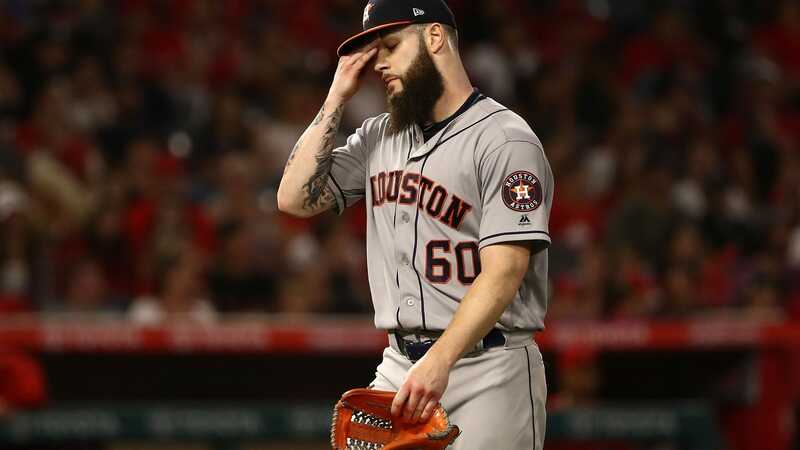 Reddick was on the wrong side again with Houston on Wednesday night, and this time, even in the replay era, it didn't help. Betts clearly appeared to be reaching over the railing as Altuve's ball descended. And major league rules state that once the ball crosses the threshold from the playing field into the stands, it's fair game for fans as well as the defender. Except West saw things differently from most of the 43,277 in Minute Maid Park (OK, so most of them were biased) and differently from most of the baseball world not living in Red Sox nation (hey, there's always the other side of the bias). The best video view was blocked because an Astros security guard was positioned directly in the line of sight between a television camera by the right-field foul pole and the point of contact between Betts' glove and the fans. For those of you scoring at home…hide your eyes! Whatever you do, look away from replay! It's a freaking mess! "It is very hard to believe that the angle wasn't the right one or somebody wasn't in the right spot," Reddick said. "You look around at all the videos of us hitting, and there's seven different angles of us hitting, so you can't tell me there aren't enough angles to make the right call right there." On the TBS telecast shortly after, Astros manager A.J. Hinch was both shocked and angry. "I'm not sure if Mookie makes that catch. 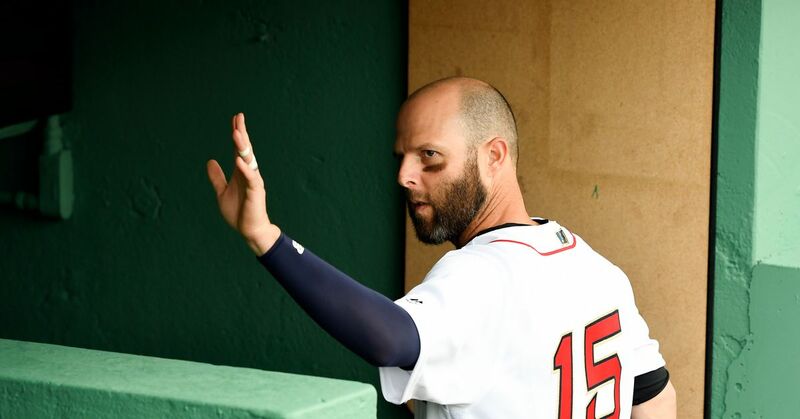 He's a great athlete, but how it's an assumed out is unbelievable," Hinch told Lauren Shehadi. As Springer noted, there were several other twists and turns the game took, and the Astros couldn't blame everything on West, but it also would have been an entirely different game if Altuve's home run had been correctly called and they wouldn't have been stuck playing from behind most of the evening. "But then all of a sudden, it's not even a double. It's an out. Two runs. The game ended up by two runs. So that makes me a little bit more upset." Said Betts: "That was a ball I could catch. I'm 100 percent positive I was going to be able to catch that one." What he didn't say was, which side of the fence? Playoff games notably have been affected by fans in the past, and now Troy Caldwell, the Astros fan who stepped into the spotlight, will be placed by some right alongside Jeffrey Maier and Steve Bartman. It is vastly different, of course. Maier was a New York Yankees fan who caught a Derek Jeter home run ball in Game 1 of the 1996 Division Series against Baltimore, plucking it out of the air before it fell into the glove of Baltimore Orioles outfielder Tony Tarasco. There was no replay in those days, and right field umpire Richie Garcia egregiously blew that call. But instead of being vilified, Maier was lionized because the kid, then 12, literally helped his Yankees win in Yankee Stadium. Really, he should have gotten a game ball. Things didn't turn out so well for Bartman, whose interference with a Luis Castillo foul ball in Game 6 of the 2003 NLCS between the Chicago Cubs and Florida Marlins in Wrigley Field caused Cubs outfielder Moises Alou to howl and hometown fans to turn on him and eventually blame him for a horrendous loss. Bartman had to be escorted out of Wrigley Field, and police were stationed outside of his home. As for Caldwell, Umpire West told a pool reporter: "Here's the whole play. He hit the ball to right field. He jumped up to try to make a catch. The fan interfered with him over the playing field. That's why I called spectator interference." Bing, bam, boom. That simple. As Springer said, "You would like to see a two-run homer be a two-run homer to tie the game." Or a ground-rule double. Or something. Instead, baseball's instant-replay system lay strewn in wreckage, again, at the game's most important time of year. "We started the day with, 'Do we have too many cameras in the park?'" Hinch said, eliciting laughter in the press room. "So, yeah, I wish we had an angle that was perfectly along the fence line that would show [it]. That's one camera we don't have."